Ericka’s speaking style is vibrant, compelling, captivating, and high-energy. Ericka was 12 years old when she discovered her gift of speaking and leading. She discovered this gift out of her pain. Although she grew up as her family built a successful business, she endured years of bullying and teasing by her classmates. She learned how to focus her feelings of deep inadequacy into encouraging all those around her through sports and student leadership. She has been making audiences rise to their feet ever since. She began her first business all the while battling with low-self-esteem. She knew that if she was struggling with issues of self-worth, other young ladies must also be suffering. At the age of 18 she started her own leadership training company which evolved into a self-esteem enhancement training program throughout her college career. She spent years working to overcome her private issues of low self-worth and self-esteem. This led to her becoming a single mother giving into the demands to work in corporate America just to make ends meet. This life soon began to suffocate her and she felt no other option but to set out to live the life the Lord created her to live. She walked away from her corporate job without a single penny saved as a single mother with nothing more than faith, a will to succeed and a vision. In her early twenties she prayed a prayer that changed the course of her life. Knowing that she was called to speak and lead, she asked the Lord to clean her out before He put her “out there.” Little did she know that this would result in a process of being completely broken, emptied out and stripped so He could rebuild her according to His purpose. Her testimony is one of overcoming, forgiveness, faith and the unyielding pursuit of the Word and revelation of the Lord. Ms. Jackson takes leaders beyond tradition. She is called to eliminate the walls of race and gender division that have prevailed in the Body of Christ for far too long. You will find Ericka in front of audiences of different cultures and ethnicities offering new and fresh revelation that brings the scripture to live and into manifestation. She also has a call on her life to expand businesses that are carrying out the will of the Lord and co-founded Touch and Agree (TAG) Christian Women’s Business Network to be the premiere training and equipping organization for Christian Business Women. 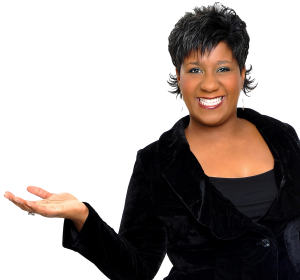 As a Master Business and Ministry Trainer, she brings her natural humor and ability to entertain to audiences as she delivers her transformational message of truth. Through obedience and complete surrender, Ericka shares the revelation she receives from the throne of God to churches, businesses, conferences and leaders across the nations. She is the founder of The Fearless Revolution TM, a movement of fearless Christians living on purpose to release the solutions to the world‘s problems that the Lord has placed within them. She is the author of numerous training programs, teaching tools and five books including The Power of Vision, The Fearless Living Challenge, Self-Coaching: Inside the Bulls-eye, When God Calls, Your Heart is the Key: Being Emotionally Free and Beyond Fearless: How to Remove Every Hindrance From Your Life. She serves on the Board of LeadHer International Women’s Ministry and is held accountable by Apostle Elijah Forte ministries. Her ministry is headquartered in Raleigh, North Carolina.